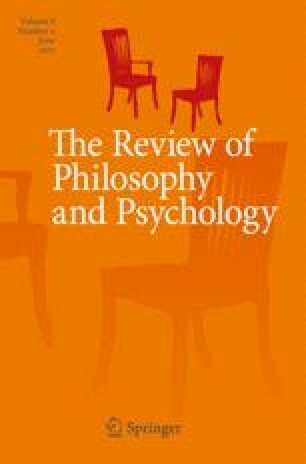 A full account of purposive action must appeal not only to propositional attitude states like beliefs, desires, and intentions, but also to motor representations, i.e., non-propositional states that are thought to represent, among other things, action outcomes as well as detailed kinematic features of bodily movements. This raises the puzzle of how it is that these two distinct types of state successfully coordinate. We examine this so-called “Interface Problem”. First, we clarify and expand on the nature and role of motor representations in explaining intentional action. Next, we characterize the respective functions of intentions and motor representations, the differences in representational format and content that these imply, and the interface challenge these differences in turn raise. We then evaluate Butterfill and Sinigaglia’s (2014) recent answer to this interface challenge, according to which intentions refer to action outcomes by way of demonstrative deference to motor representations. We present some worries for this proposal, arguing that, among other things, it implicitly presupposes a solution to the problem, and so cannot help to resolve it. Finally, we suggest that we may make some progress on this puzzle by positing a “content-preserving causal process” taking place between intentions and motor representations, and we offer a proposal for how this might work. Elisabeth Pacherie’s work was supported by grants ANR-10-LABX-0087 IEC and ANR-10-IDEX-0001-02 PSL*. Myrto Mylopoulos would like to thank audiences at the Institut Jean Nicod PaCS workshop and the Carleton University philosophy colloquium for useful discussion. Elisabeth Pacherie would like to thank the audience at the Spring School on Action in Tübingen. Both authors are grateful to Daniel Burnston for helpful comments on an earlier draft.